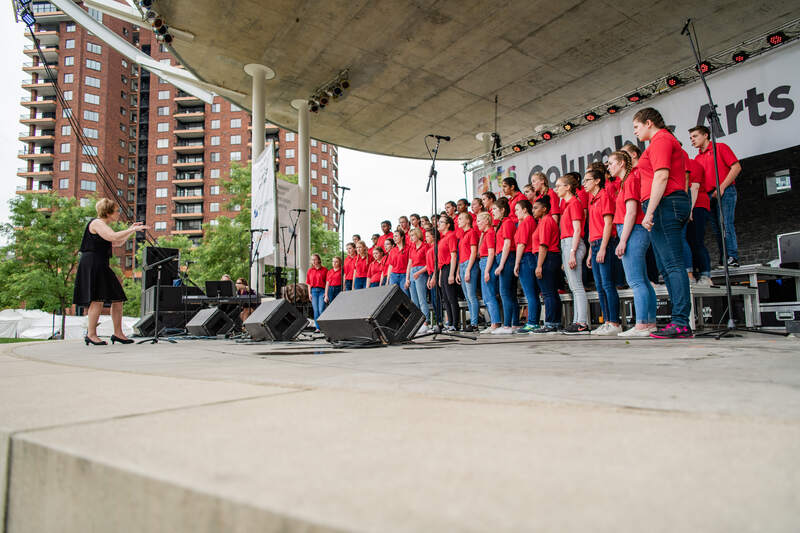 The New World Singers of Columbus Children’s Choir is honored to perform in the Harmony Project Presents: The Concert for Us at Nationwide arena on December 6th. “The partnership just makes sense,” said managing director Kerry Haberkern. “Besides sharing the common belief that music unites a community, we are only about a two minute walk from one another.” Both organizations prioritize equal access and inclusion as a part of their missions. Harmony Project has gained the attention of the city by pairing community service with participation in the choir. As for how the New World Singers will be featured, artistic director Jeanne Wohlgamuth says, “Expect something different from our usual repertoire.” Beyond that, CCC staff won’t spoil the surprise except to say that there is a cast of over 1,000 voices in the now sold out show. Click here for more information about the Harmony Project.